Flash Update Hints at Android 2.3 Arrival? We were already expecting a Flash 10.1 update on November 9th to fix a security issue, and while we’re looking forward to that, we are now even more interested after seeing the new description listed on the app’s market page. Is Adobe letting us in on some Gingerbread news? ATTENTION: Please install the upcoming 11/9 update (ver. 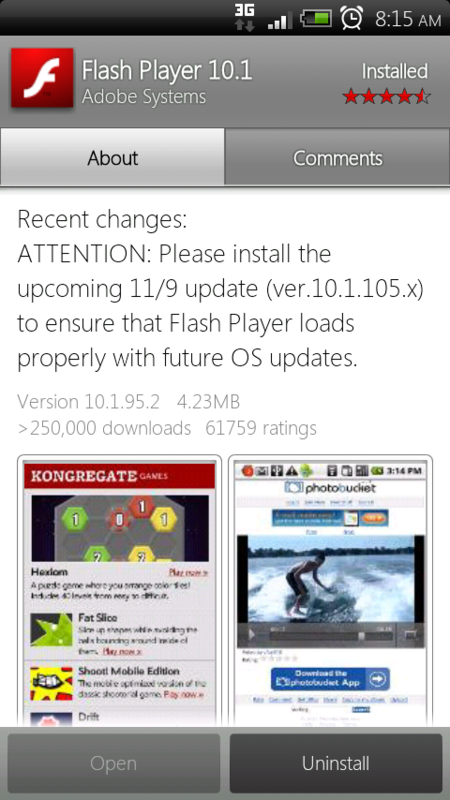 10.1.105.x) to ensure that Flash Player loads properly with future OS updates. “Loads properly with future OS updates” sounds fun right? There are rumors that the Gingerbread SDK could land on November 11th and maybe this is another sign that it’s close?